Los Suenos Series Champion, 250 Pts. 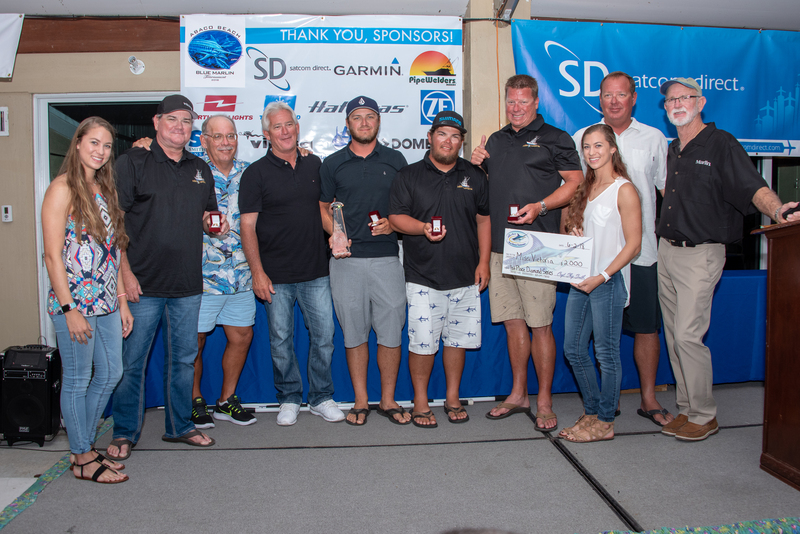 Los Suenos Signature Series, Leg 2, 1st Place, 500 Pts. Marina Casa de Campo Open, 1st Place, 500 Pts. 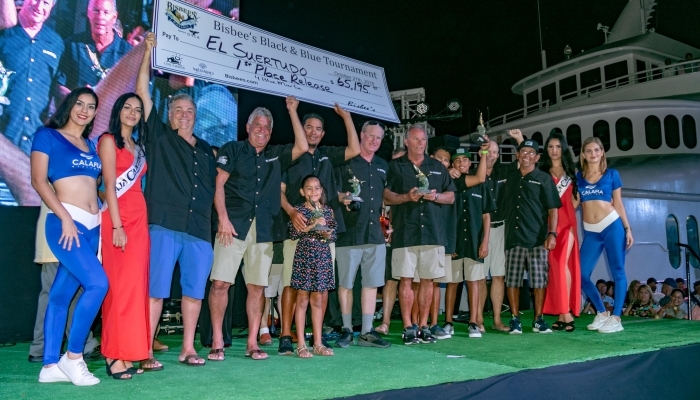 Los Suenos Signature Series, Leg 3, 1st Place, 500 Pts. The Masters Tournament, 1st Place, 500 Pts. 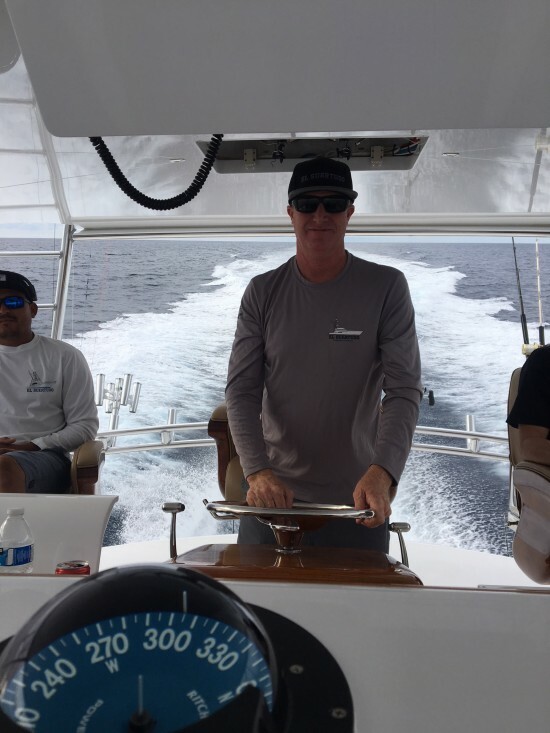 White Marlin Roundup, 1st Place, 500 Pts. 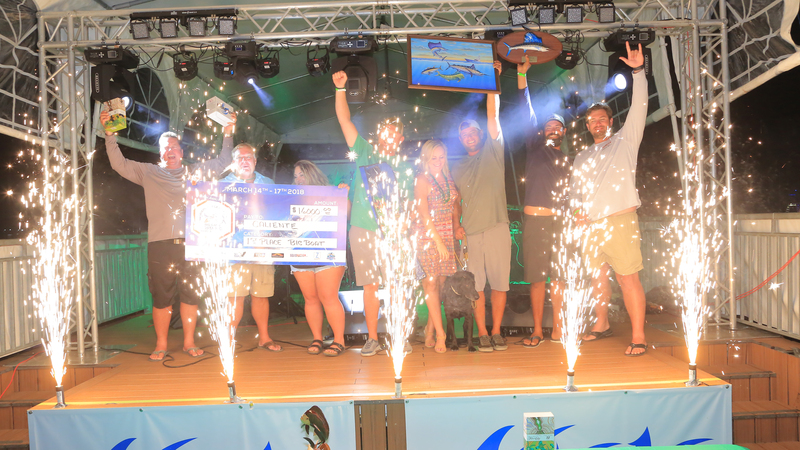 Quepos Billfish Cup, 2nd Place, 300 Pts. Marina Casa de Campo, 2nd Place, 300 Pts. Los Suenos Signature Series, Leg 3, 300 Pts. White Marlin Roundup, 2nd Place, 300 Pts. 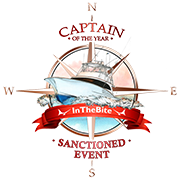 Los Suenos Signature Series, Leg 2, 3rd Place, 100 Pts. Marina Casa de Campo Open, 3rd Place, 100 Pts. Los Suenos Signature Series, Leg 3, 3rd Place, 100 Pts. White Marlin Roundup, 3rd Place, 100 Pts. The Masters Tournament, 3rd Place, 100 Pts. 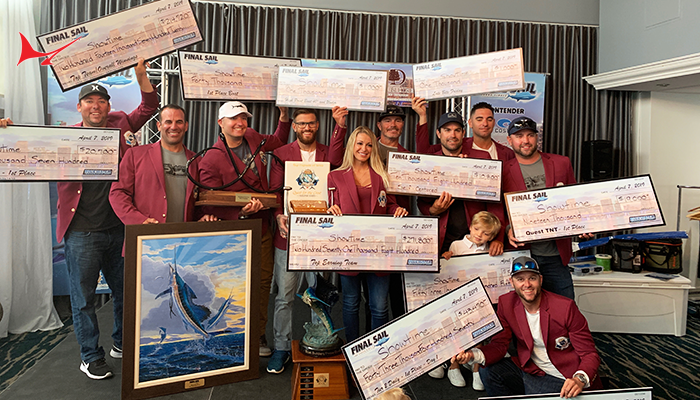 900 points include: Bisbee’s Black and Blue, 1st Place Release Division; Bisbee’s Los Cabos Offshore Tournament 3rd Place Release Division; Los Cabos Billfish Tournament, 2nd Place Release Division. Captain Greg DiStefano is no stranger to either to tournament victory or magazine write ups. 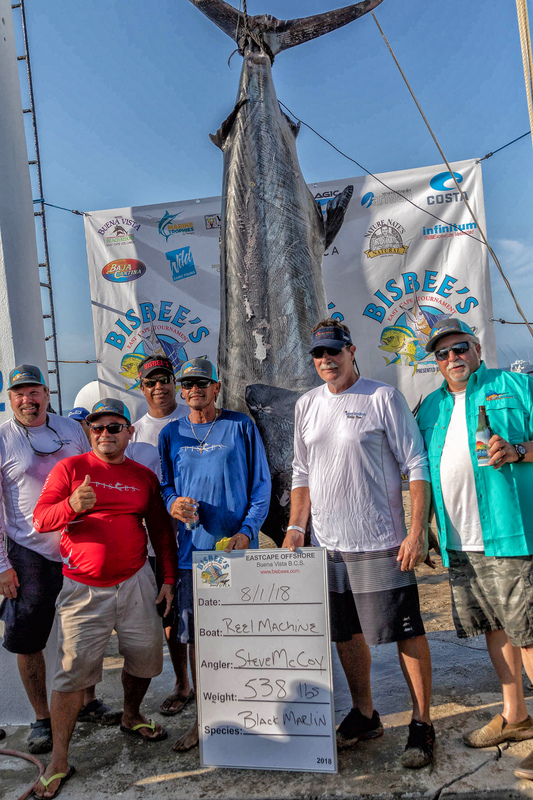 In addition to his skill catching blacks and blues in tournament situations, there is a near 100% chance that DiStefano and owner/angler Guy Yocom have caught a bigger yellowfin tuna than you. In 2012, the pair won a million dollars for catching a world record 427-pound yellowfin on a Mustad hook. 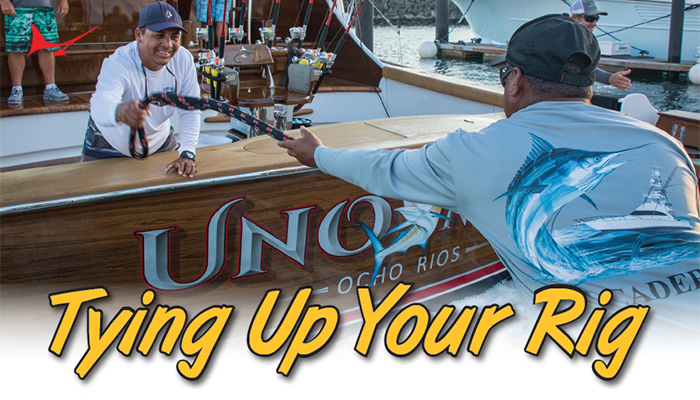 DiStefano’s experience fishing the waters surrounding Cabo San Lucas is extensive and marked by successful endeavor. When discussing his approach to tournament fishing, DiStefano is laid back and thoughtful. 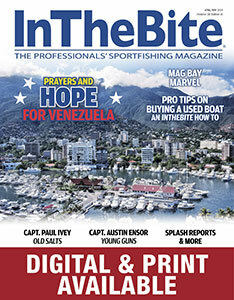 “We focus on pre-fishing. Go do your own thing and focus on what you’re doing,” he recommends. “Forget what everybody else is doing. Focus on what you see and not what you hear on the radio or at the bar. We don’t expect people to tell us the truth if we asked… so we don’t ask them,” DiStefano says with a laugh as he describes his tournament preparation. 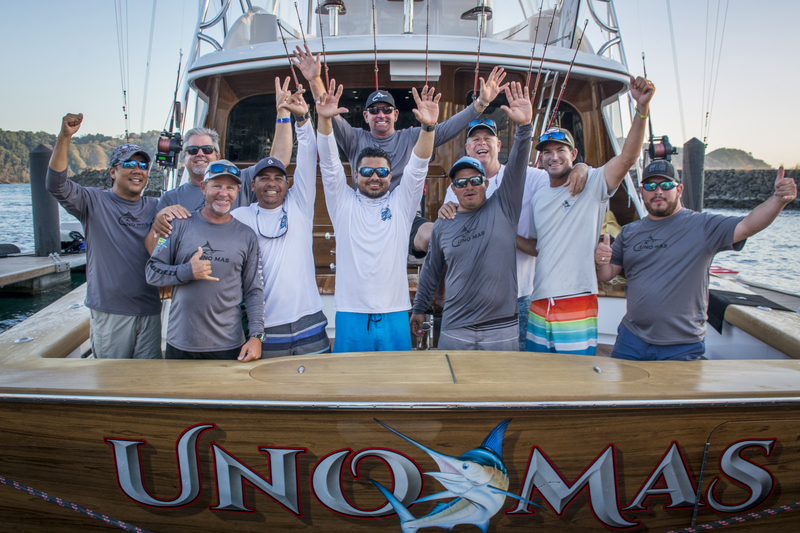 While the majority of the El Suertudo’s Captain of the Year points came from finishes in the releases divisions, the team is also accomplished in targeting large marlin for the scales. 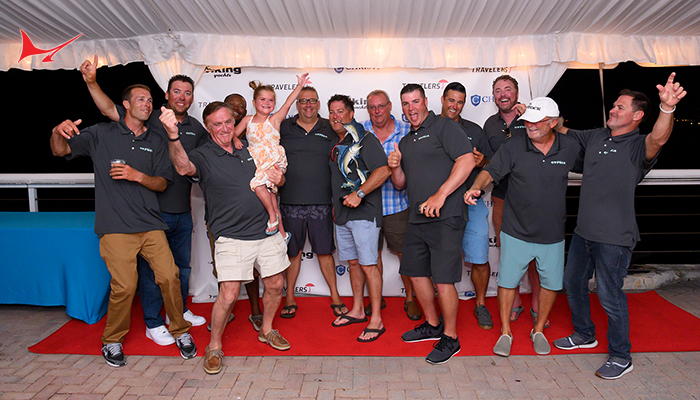 In the Los Cabos Offshore Tournament, the team finished third in the release division and weighed a 361. “We pulled the hooks on a good one on the second day of the Black and Blue – when nobody caught anything,” DiStefano recalls. 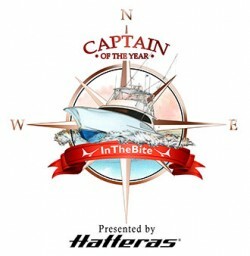 The El Suertudo, roughly translated the Lucky One, is marked by stability of captain and crew. “I’ve worked with the owner for 12 years. My mate Oswaldo and I have been together for 11 years. We have the yellowfin record and a bluefin line class record,” DiStefano says. Guy Yocom owns the boat. For tournaments, he brings his buddies down to fish. 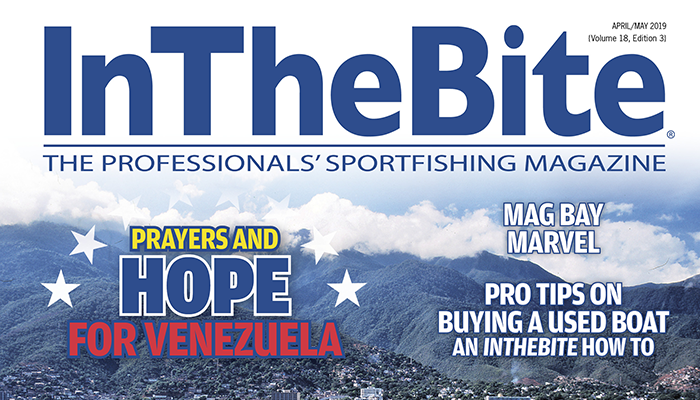 Anglers on El Suertudo include Yocom, Bruce McDonald, Chris Kirkley, Greg Chase, Gary Mason and Azam Flores. Running the cockpit are first mate Oswaldo “Balin” Ortega – first mate, Noe Cruz and Alfonso Ortega, Oswaldo’s father. 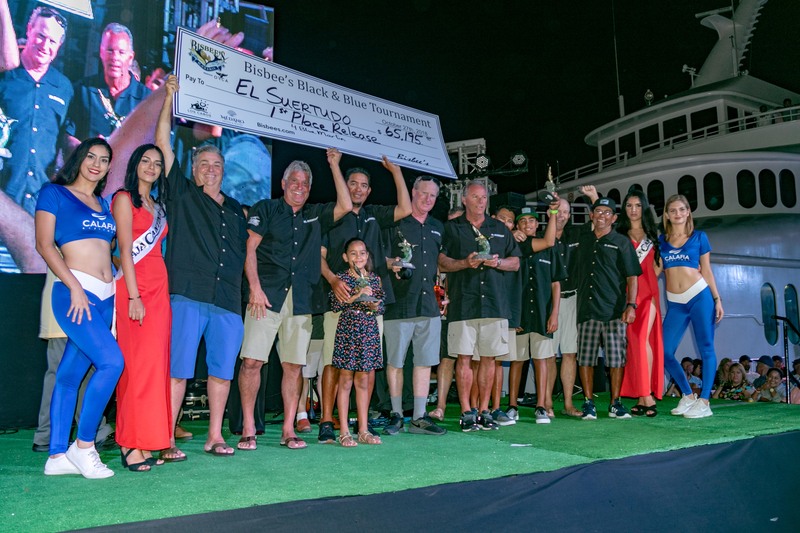 Captain Greg DiStefano and El Suertudo’s 2018 campaign took top honors in a hotly contested Los Sueños International Division. DiStefano’s 900 points were enough to best the five other captains who finished within 200 points of the lead. 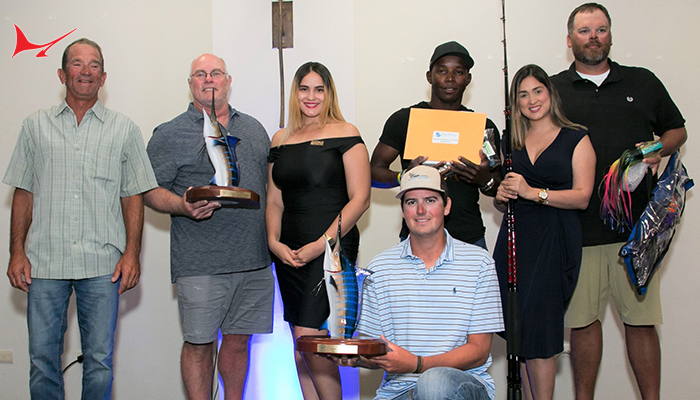 Congratulations also goes to Captains Brent Gaskill (Builder’s Choice) and Cookie Murray (Auspicious) who finished in a second place tie with 800 points on the year. Captain Greg DiStefano is also the first Cabo-based captain to win Captain of the Year honors. 2014 Capt. Rob Moore, Fa-La-Me, 1650 Pts. 2015 Capt. Russell Sinclair, Wave Paver, 1950 Pts. 2016 Capt. Victor Julio Lopez, Tranquilo, 2100 Pts. 2017 Capt. Russell Sinclair, Wave Paver, 2150 Pts.